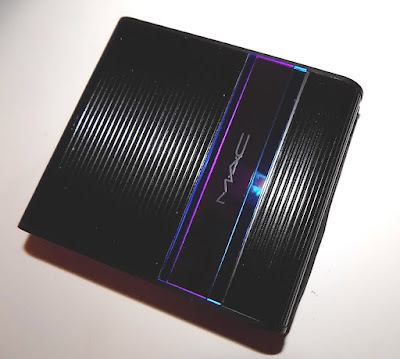 Enchanted Eve is one of the mini collections within the main collection of MAC Holiday. 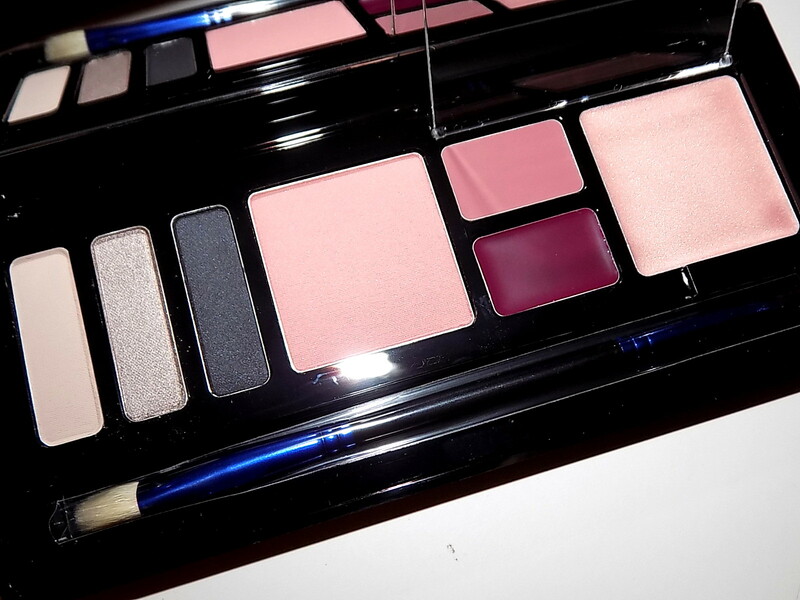 This multi purpose palette packs a little bit of everything you need for a day or night on the go. The palette contains three neutral shadows in the grey range, beauty powder , two lipstick shades and cream colour base. All are very wearable , making this a nice kit to tuck in your bag or take on a weekend trip . It also makes it a great gift as the colors should suit most. At 6 inches long it's a nice size , not needing too much space and shaped like a clutch . I'm fairly sure we all look forward to MAC Holiday. The sets , the gifts, the color collection. It's always a must see . This year the palettes/sets come in black ribbed cases with bright metallic trim. I'm not loving these boxes as much as past years, they kind of remind me of a tape case from a few decades back and aren't very festive but what's inside is still as good as always . Pinks and Nudes are two of the new lip gloss gift sets ( along with violets) from Irresistibly Charming. Each has 4 Lipgloss ranging from pale to deep. 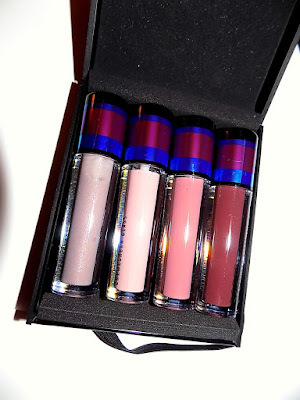 MAC Irresistibly Charming Lip Gloss Sets are $ 35 each and available now. 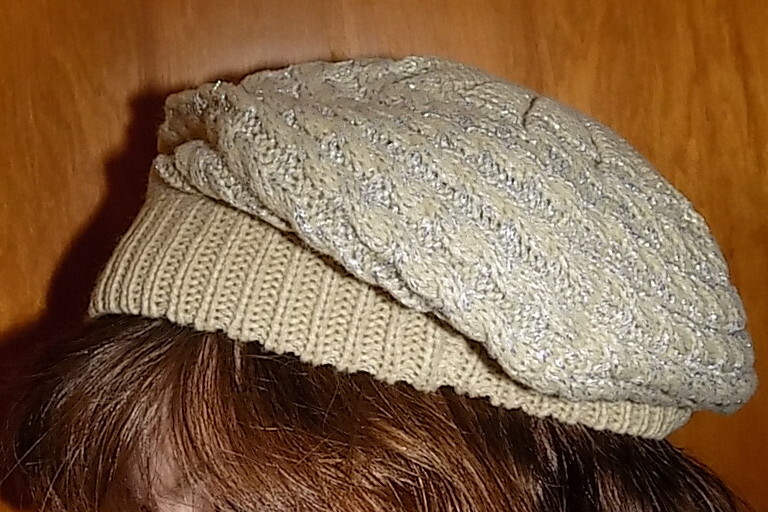 A cute hat is a perfect accessory all fall and winter long. Not only does it look cute , it keeps you warmer and can hide a less than perfect hair day. This new slouch version from Scala Pronto ticks all those boxes. 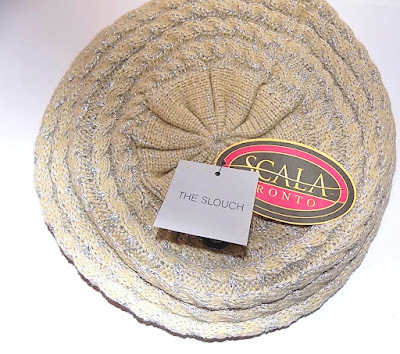 Made from a thick acrylic with metallic lurex threads woven through, it comes in a tan or grey version to easily go with most of our coat and sweater colors . The liquid version of Beyond Perfecting Foundation is a great one. It has super coverage and really perfects the face. For anyone who wants full, great looking coverage I highly rec it. 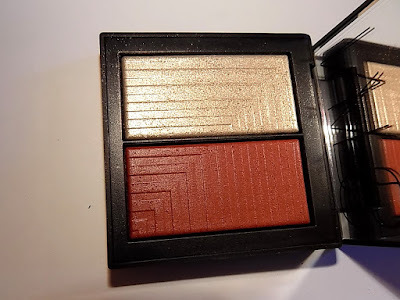 New is a coordinating powder compact makeup with the same name. 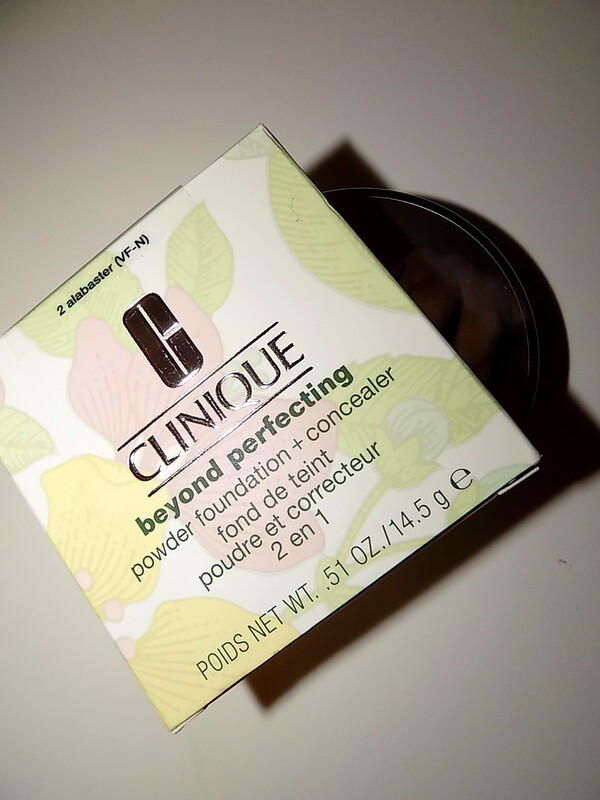 Beyond Perfecting Powder Foundation & Concealer comes in a compact with a sponge applicator tucked in it's own compartment. The coverage with this is less than the liquid version but still close to full coverage with a little building. One swipe with the sponge is more medium coverage . This is a very dry powder yet it doesn't look cakey or overly dry on skin . It does leave skin looking a little flat, not as radiant as the liquid . 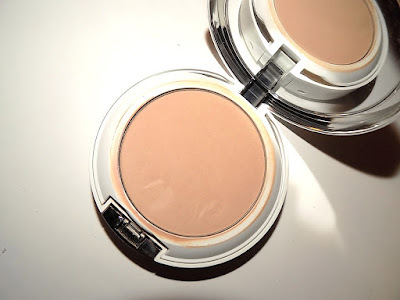 As a full , on it's own foundation, I'm still on the fence with this and I love powder foundations. As a touch up, to go over any areas during the day that wear or fade , it's great. You do get good wear time with this and it also stands up well to oil and hot temps. So for oily skin types , it's worth checking out and will help skin look it's best all day. 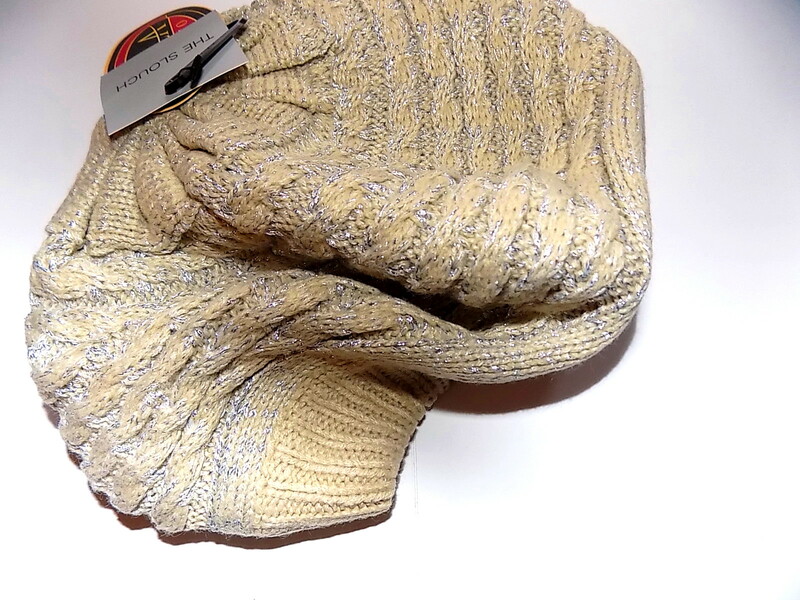 One of my favorite products is back for the cold weather season. Also available of course are their great cool max blend thin crew socks and knee hi's along with textured tights like the wide ribbed ones shown. 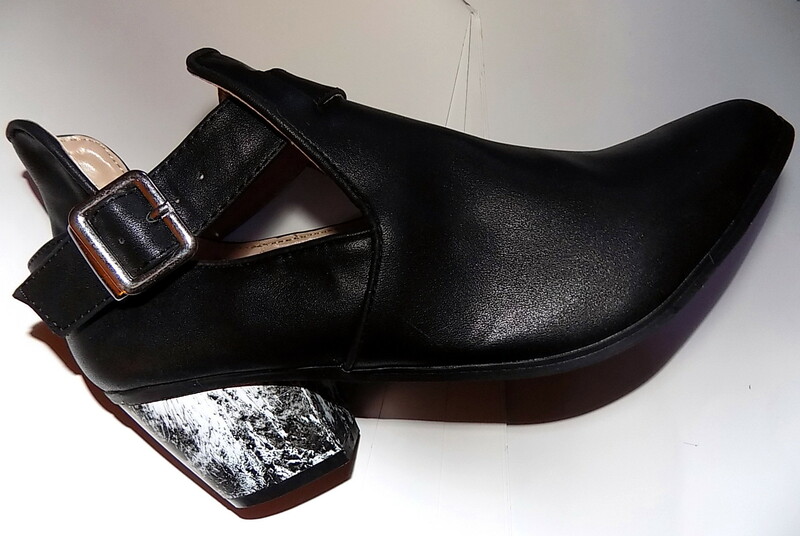 All come with the trademark massaging sole which really works. Love a good face mask but want variety or no commitment in case you don't like it ? ? 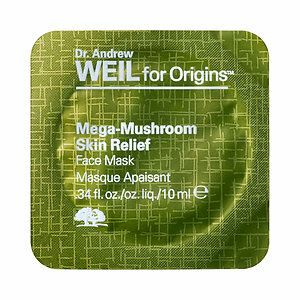 Origins is now selling their face masks in single pods so you can mix and match or try one before buying a pack. A single pod is $ 4 or you can grab a 6 pack for $ 24 ( mix and match, your choice). There are six varieties for all skin types. These are exclusive to Sephora online and select stores. 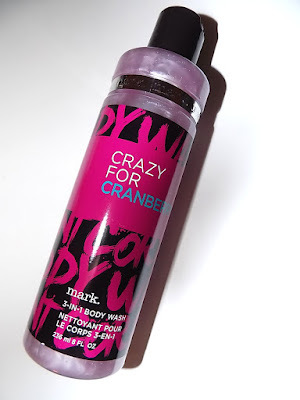 Love the smell of cranberry ? It's one of my all time favs and I've bought one famous brand's almost every year for more than decade. This season mark. brings their own cranberry, Crazy For Cranberry . The smell of this comes so close to the brand I'd loved and that tart real cranberry. It's strongly scented and rich in the berry along with a bit of rose and less than a bit of vanilla. It makes for a pretty scent. The Hand Cream is super hydrating, honestly more than I expected it to be. You know how some things are scented well but don't do much ? Not the case here. It's thick, creamy and moisturizing. The 3 in 1 Body Wash not only cleanses skin but can be used on hair as well and doesn't dry skin . This also comes in a Body Butter, Mist and Scrub. 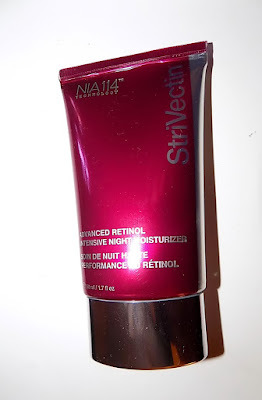 StriVectin Advanced Retinol Intensive Night Moisturizer is the brand's newest retinol skin saver. 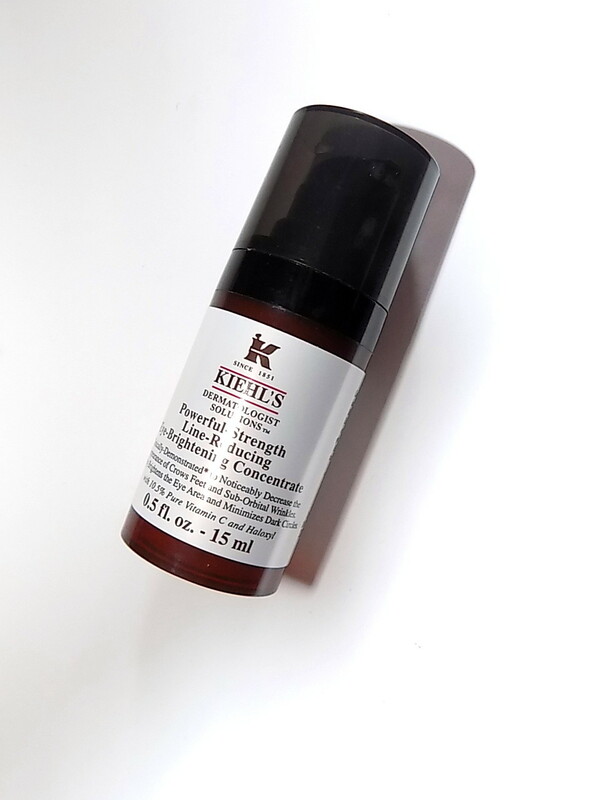 This new cream uses retinol along with copper tripeptides and hylauronic acid to help skin along with plant based ingredients like willow bark and ginger root extract. Shea Butter is there for added moisture and to help prevent sensitvity to the retinol. This is , to me, a pretty gentle cream. I don't get irritation from retinols easily though. I was actually worried the shea butter would make it too moisturizing for me , especially since it's not winter yet when I can go heavier on the creams ,but it's been perfect. Just enough moisture but not heavy or greasy. The retinol balances the shea I guess. In fact if you have drier skin you might need something else over this. I've been using it for about a week. Not long enough to say just how well it works on lines and all anti aging areas but I do think my skin looks brighter, has more clarity.. 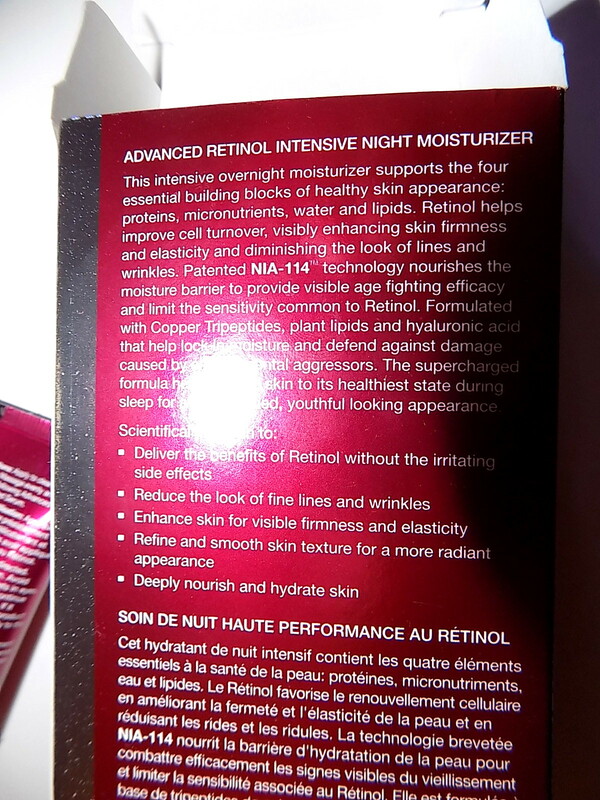 I plan on continuing to use it as my nighttime product for awhile. I like all the good for skin anti aging ingredients in there and the lightweight feel. Dessange Paris is not a new name in haircare , Jacques Dessange was a legend in the industry for decades doing the hair of Bardot and other big names at his Paris salon. 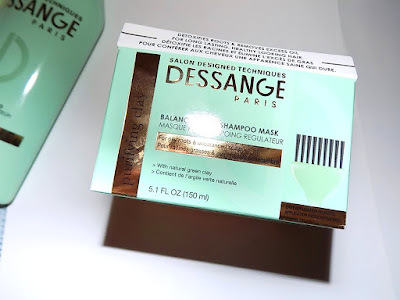 Today there is still a Le Maison Dessange but if you can't hop to Paris, the brands haircare line at Target brings it to us. Inspired by the salon's scalp treatment, Purifying Clay shampoo and mask treats oily scalp and dry ends. Reading that I thought, why haven't we had this sooner? After all oil starts at the scalp not the ends. The shampoo and mask are indeed green and have a slick clay like look. It's different but boy does it work. My hair just using the shampoo looks and feels amazing. Full of body, volume,shine, and super clean but not dried out. When worked into wet hair it seems to make my hair feel thicker too. While I've been using the shampoo , the mask I only tried once. It worked just fine but I didn't notice a big difference in my hair vs. using just the shampoo. I need to give it another try and leave it on longer . 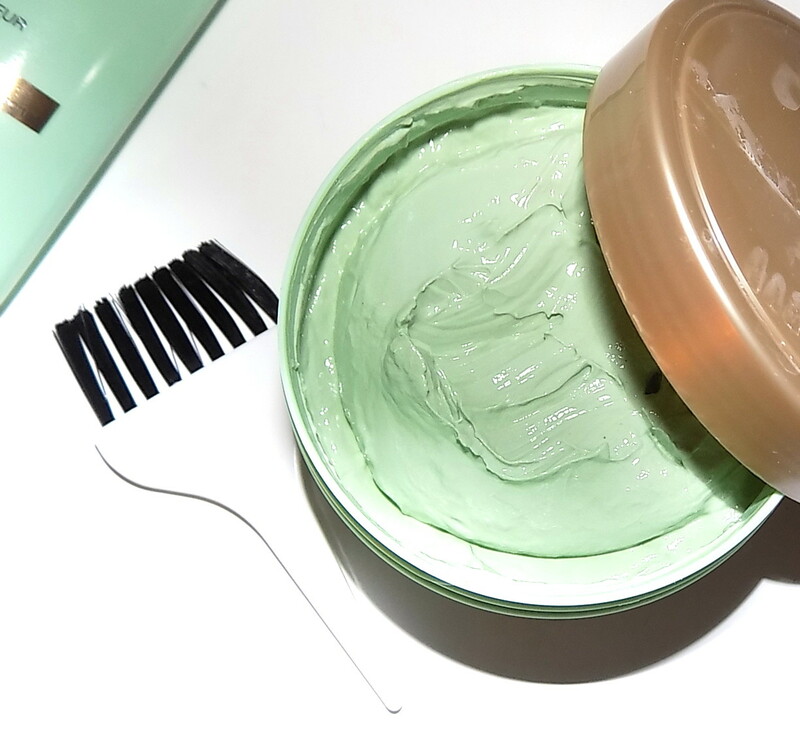 It has 30 % mineral green clay to absorb oil and it comes with a brush to apply. 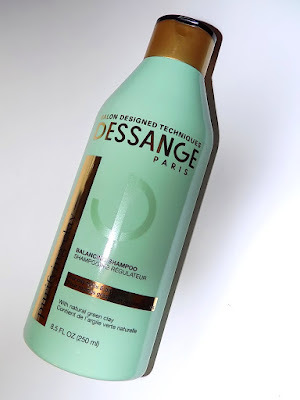 I think this is one of the best shampoos I've used and I've used quite a few. If you have oily areas but dry ends or mid hair shaft, give it a try. Both are exclusive to Target. 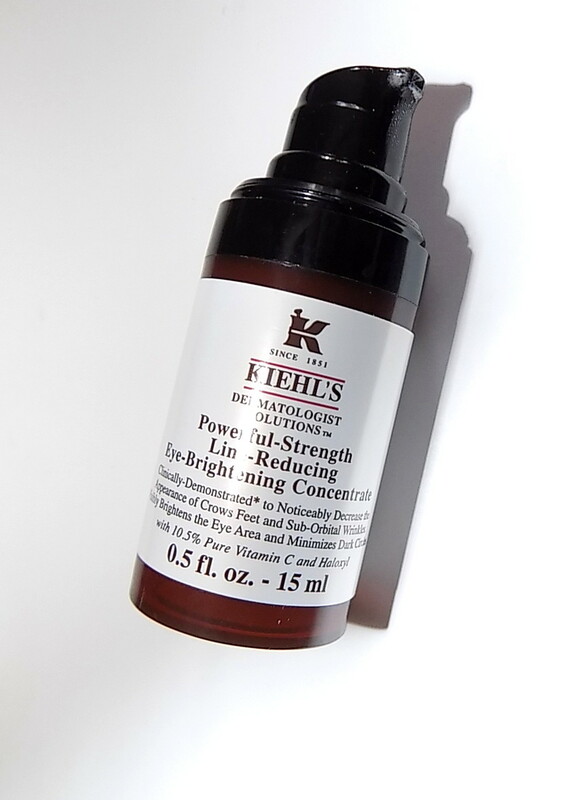 Kiehl's is celebrating the sale of the 3 millionth bottle of it's Powerful-Strength Line Reducing Concentrate being sold with a new version just for eyes. The new eye formula packs plenty of vitamin C just like the facial version at 10.5 % . 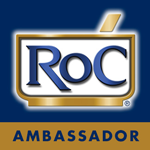 Other anti -aging ingredients include peptide rich Haloxyl and amino acid Lauroyl Lysine. This is a fairly thick serum that glides over and onto the eye area. It has moisture but isn't super hydrating. I gave this to The Mom , she's very into her eye creams, and she came away raving . She said it seems to almost fill in those lines around the eye, and feels silky and smooth on . I noticed too, that it sinks in fast. No greasy or heavy feel so day use and subsequent makeup application works well. I like that this is a pump bottle and a dark one too, to keep the light out of the vitamin C and your fingers out of the jar. 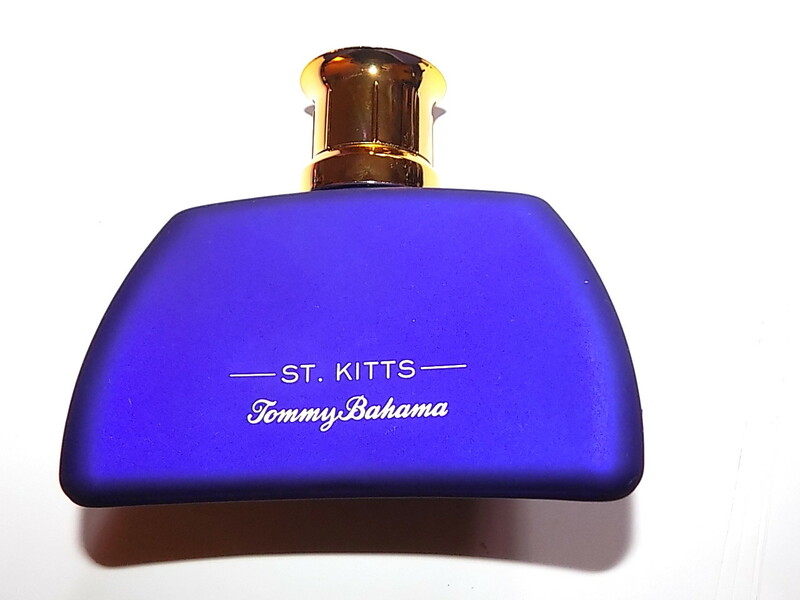 It may be October but with Tommy Bahama it's time for St. Kitts. First off, do you love the purple bottles ? That burst of color really makes the bottles stand out. St. Kitts For Women is a dewy , musky floral EDT with fruit notes of pear and mango in the beginning. Frangipani, plumeria and freesia come along and as it dries down it becomes more musky with light woods. This has medium sillage and is light but not a skinscent. St.Kitts For Men , an Eau de Cologne, has a dry citrus beginning with kaffir lime and mandarin notes before beachy woods of cedarwood and driftwood come along. It has an aquatic and woodsy feel with hints of musk at the drydown as well. It does have a feel of suntanned skin in way and I have to say I think women could easily wear this as well. I know I would. Tommy Bahama St.Kitts For Women and Men are both $ 65 each at tommybahama.com and Tommy Bahama stores. 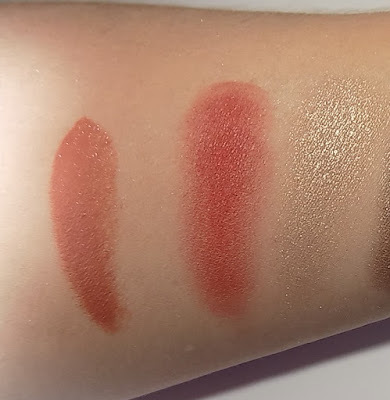 NARS knows blushes , this we know. 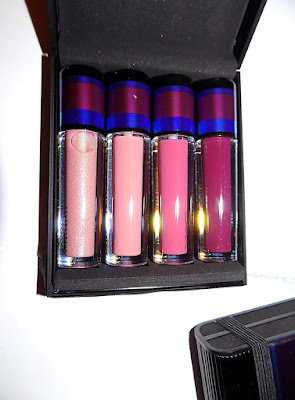 I added to my stash with the new Dual Intensity Vengeful, part of the Steven Klein collection which is one gorgeous shade after another. Vengeful is a brick orange-y red on one side and seriously sparkling gold on the other. Apart or together they work well. Yes the gold packs some shimmer but use it with a light hand for highlight most days and when you're feeling it or hitting the town , amp it up. The brick red side is full of pigment but blends in easily. If you're pale like me you need to go light with it and blend well . Doing that it looked great and of course I added a touch of the gold. It's a great flush of color . 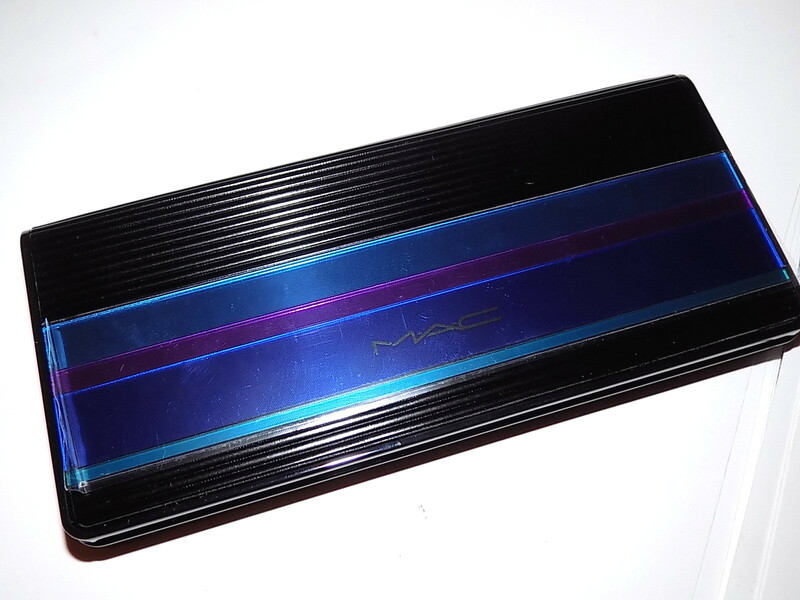 Also shown in this image is the new lipcolor Besame Mucho. 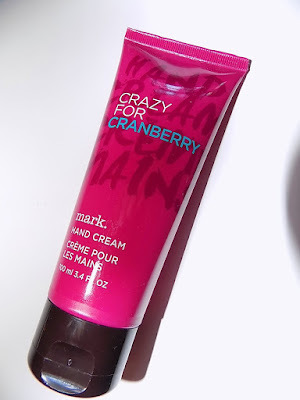 This is a new creamy formula and the lipstick does go on with a shiny look. It's very creamy, smushy creamy and almost balm like on. 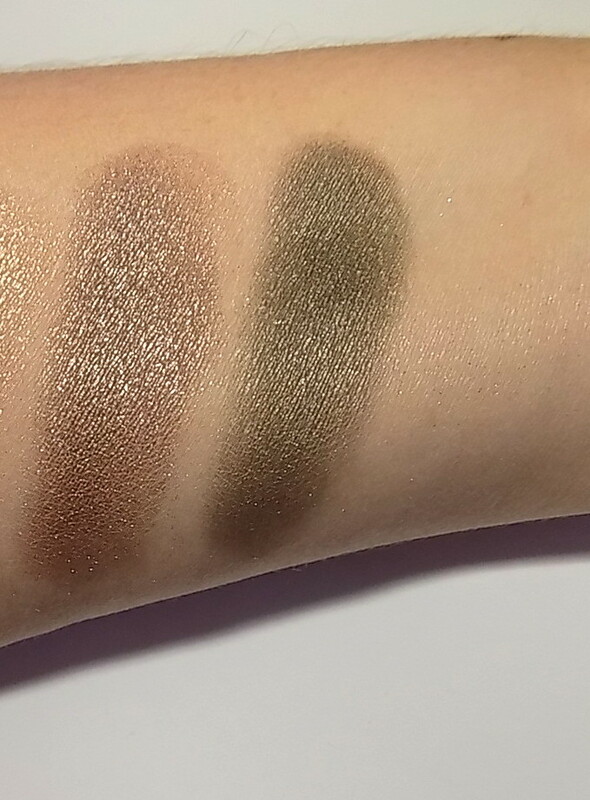 This is a great neutral color with light/medium pigment but the formula does mean less wear time. The NARS Steven Klein Color Collection is on NARSCosmetics.com and at NARS boutiques now and Nov. 1 at Sephora, department stores. It's boot season and mark. 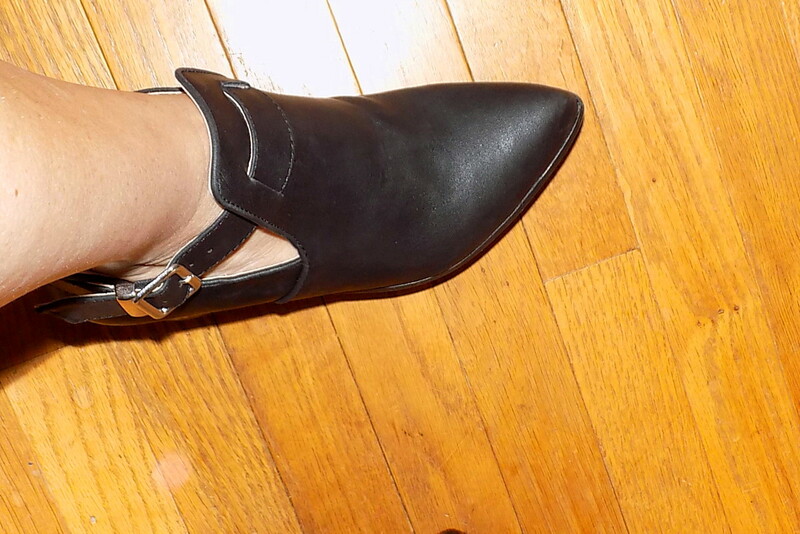 has a new bootie just right for the cool days of Autumn before wind chills come along later in the season. 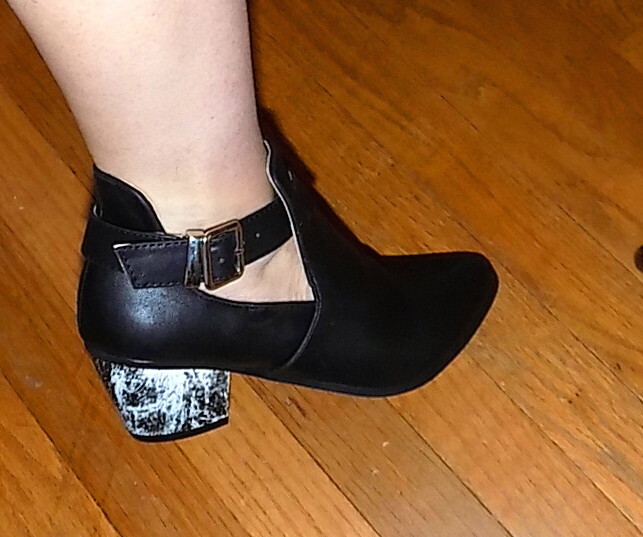 The Marbleized Heel bootie has cut out side to show off some skin or your hosiery. The heel has black and while marbling to make it a not so basic black . Add in a silver buckle detail and you've got a good look . 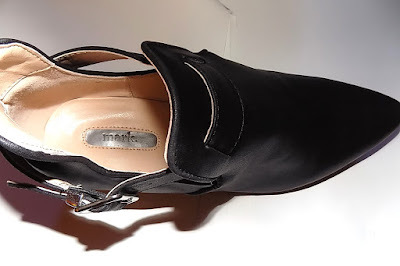 The heel height is 2 inches, and the insole has light padding making this pretty comfy. The NARS x Steven Klein collab is all gorgeousness. Among the pieces I have there isn't one I am not mad for. Two of the eyeshadows in the collection are Stud and Never Too Late. 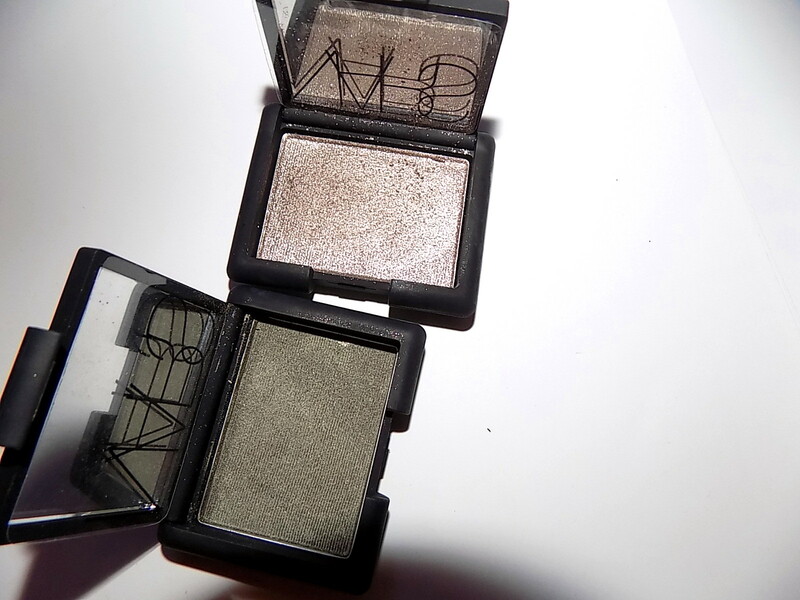 Both are rich , metallic shades that give a lot of look and are great for Fall then into Holiday with their sparkle. Stud is a highly metallic pewter/ taupe . It goes on very smoothly , looks creamy on and blends easily. For me this is a shade I could wear almost all the time . Yes, I like my shimmer and this brings it. Never Too Late is a medium olive with shimmer but less than Stud has. It's got good pigment but is a bit sheerer than full . Medium I'd say and it benefits from a little building. Stila Holiday always brings sets/palettes we have to have and we're getting a look at 2015 now. One is the new A Whole Lot Of Love set. This palette has it all including 20 eyeshadows in matte, pearl and shimmer. 4 blushes and a deluxe size HUGE Extreme Lash mascara. The packaging reflects a old fashioned love letter envelope and the name of the holiday line- Sealed With A Kiss. 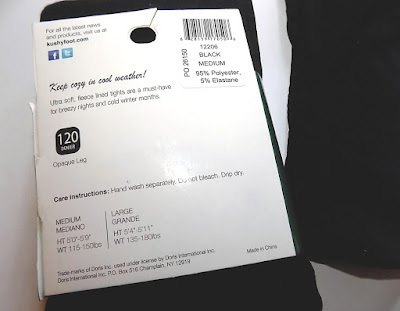 I don't do many Breast Cancer Awareness product posts here. It's not always easy to tell what's on the up and up, worthwhile etc. 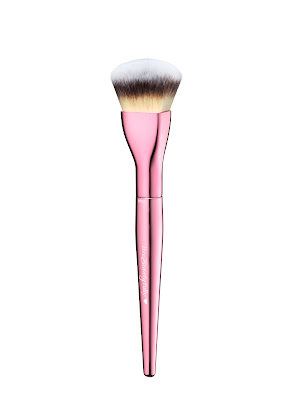 This new brush from IT Cosmetics is an exception. What caught my eye besides the cute design is that for each Love is the Foundation Brush sold, the company will donate an additional brush to the American Cancer Society’s Look Good Feel Better Program, going to women who need something beautiful and hopefully confidence boosting while fighting cancer. According to IT "this is part of a year-round initiative to support women with cancer where IT Cosmetics has donated over $10 million in products to the cause "
IT brushes are also one of the best , nicest , softest , add any superlative here, brushes out there. You'll be treating yourself too. 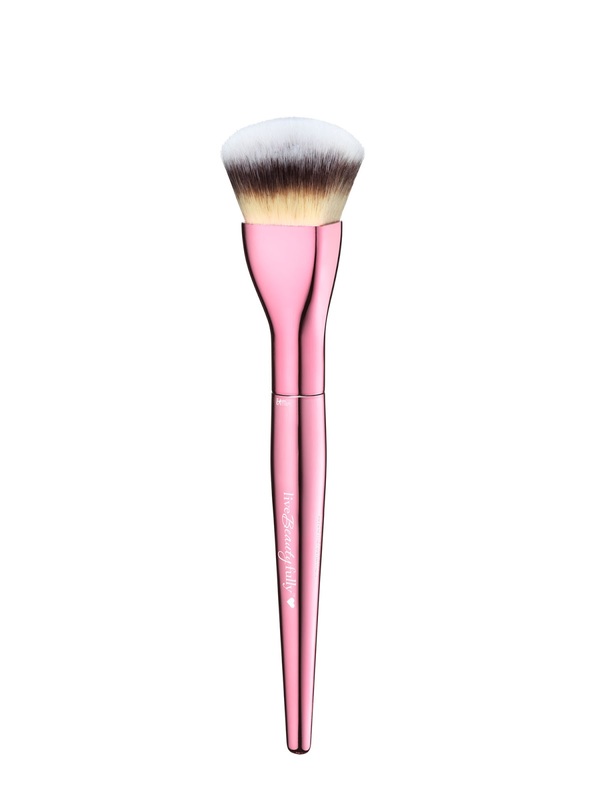 The Love Is The Foundation brush has a pink handle and a heart shaped brush head and retails for $ 30. Grab them at Ulta in store and online. This post is going to the dogs. I wrote a piece for SheKnows, my first for them that focuses on dogs , on the best canine toys for the Halloween season. Hey, it's not just for kids, right ? I'm thrilled to get to write about something I love so much. Dogs Rule is my mantra. Maybe there'll be more in the works. If there are, I'll post them too. 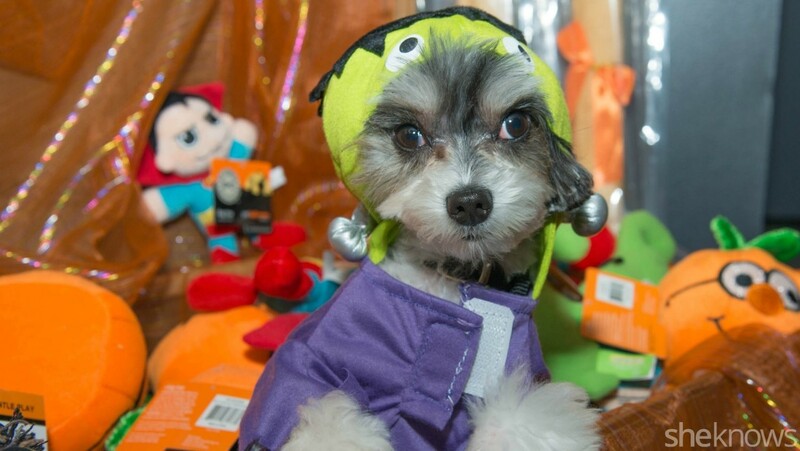 In the meantime check out this one and treat your dog to something fun.